The number of electric cars on the world’s roads has zoomed from zero in 2008 to 2 million in 2016, with many of those in China and the United States. But China is staking out new territory with electric buses, and India could do the same with electric motorcycles. China has seen a remarkable increase in electric buses. In 2016 alone, approximately 80,000 electric buses were added to fleets. 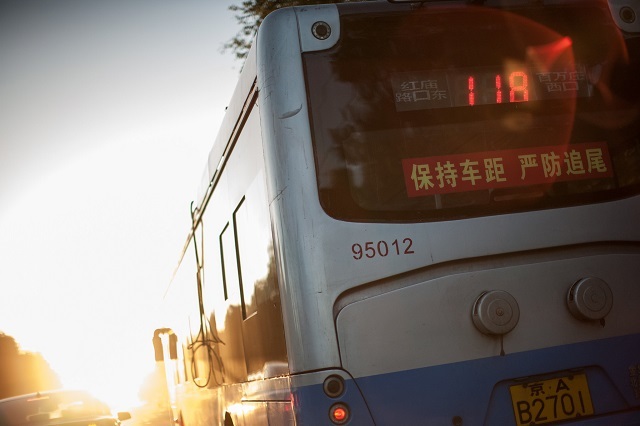 Transitioning to electric buses will help China’s commitment to reduce its climate intensity by 60-65 percent from 2005 levels by 2030, and help address growing concerns about rising air pollution. Buses also offer a chance for China to capture a growing market. In that sense, China’s experience is essentially a lesson in industrial policy – one that India and other rising economies facing similar challenges would do well to study: Identifying and prioritizing a single sector can be a sharp strategy for green growth. 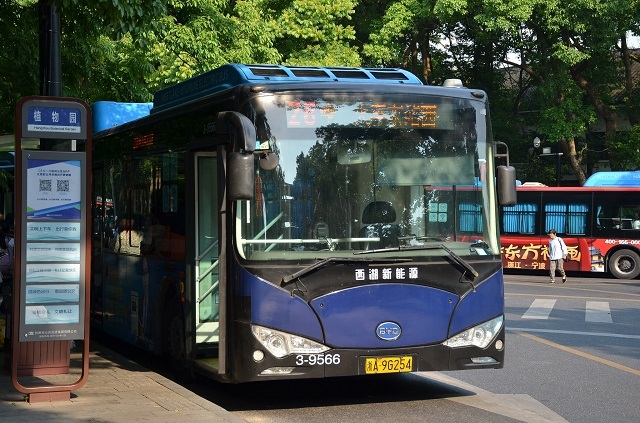 An electric BYD bus in Hangzhou. Flickr/shankar s.
China is one of the largest automobile manufacturers in the world, but most of its demand is domestic. Chinese manufactures can’t compete with international car manufacturers, such as Toyota. But they might be able to beat world producers to the electric bus industry. To get there, China adopted a program in 2009 – Ten Cities, One Thousand Vehicles – which encouraged provincial governments to identify pilot programs, form industrial alliances and provide policy and financial support. By giving provincial governments incentives to form alliances through the program, stakeholders such as energy utilities and battery manufacturers and suppliers have worked together. Led by China’s national government, this program succeeded because it addressed the electric mobility sector holistically, from manufacturing to end use. Underlying it all is an economic strategy that recognizes the need for government to protect and nurture new niche technology that competes against what’s already there. This means that through subsidies and local partnerships, public agencies will be able to develop better support mechanisms, like standards and regulation. Partnerships also help businesses and solution providers optimize and improve business models. Once the benefits of the technology out-weigh the economic costs, this protection can be phased out. Like China, the national government in India has called for electrification of its passenger transport sector. The power ministry, transport ministry and the government think tank Niti Aayog have all supported this call and have introduced policies in some cases. However, the kind of national strategy that powered China’s electric bus ascent has not yet been initiated. Some state governments, including Karnataka and Telangana, have constituted or are in the process of announcing policies to promote electric mobility and attract investments and the Department of Heavy Industries has drafted a national policy to promote electric buses. While these policies and initiatives are welcome, they might not be sufficient to achieve similar outcomes as China, largely because they lack cohesion. It might make more sense for India to choose a different sub-sector altogether: motorcycles. 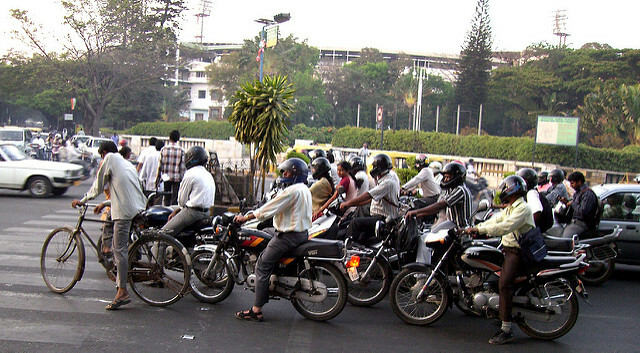 India is the largest market for two-wheelers (including motorcycles, motorbikes and motor scooters) and one in three Indians use two-wheelers to get to work. Industry experts opine that the market for auto-rickshaws, which have three wheels and similar engines to motorbikes, will increase. In addition, while a significant portion of India’s population commutes by bus, which cuts down on air and noise pollution compared to personal cars, the capital cost of full electric buses is more than twice that of diesel buses. Considering city bus operators are struggling to break even and would require significant assistance to procure new buses, the two-wheeler and auto-rickshaw markets might be better entry points for India’s electric mobility transformation. To achieve full vehicle electrification by 2030, India needs to urgently develop a roadmap. China’s progress on electric mobility could provide lessons for India: a strategy to promote electric mobility as a co-benefit of increasing jobs by tying it to an industrial policy, a program to study the roll out and develop standards for procurement, battery technology, and finally, coordination between national and sub-national governments to identify common goals. Finally, it is important to remember that electric mobility fits within the Improve part of the Avoid-Shift-Improve framework that cities would need to use to better their sustainable mobility strategy. This article has been adapted from a version that appeared on WRI.org’s Insights. Srikanth Shastry is a Principal Associate with the Cities and Transport at WRI. Lu Lu is the Research Analyst of WRI China’s Transport Program.